Whatsapp with tally integration - How does it increase your productivity? Communication is a crucial aspect of every business. In the workplace, it creates unity, sharing of feedback, improved customer relations and employee engagement, and enhanced innovation. Whatsapp with tally integration is developed for the same reason. Communication with your team is as important as that with customers. But in the daily grind, communication often gets missed. People might fail to (rather forget to) communicate on important aspects among each other and with customers. They might not send invoices after selling goods, or purchase orders after placing an order. Or they might not inform others to complete their tasks once they have completed their own. The result is not pleasant. The payment collection could get impacted because of delays in sending invoices, or because ledgers didn’t get sent when customers asked for them again. Goods ordered may not be received on time because purchase orders did not get sent. Maybe these goods were for your end customers. Maybe they were urgently needed for an order for an important customer. All this affects your business. Revenues get affected, operations stall, tensions flare, and you feel frustrated. But it doesn’t have to be like this. You can use the most popular messaging tool to improve communication and also track it effectively. There’s no doubt that WhatsApp is the quickest and most popular communications tool in the Indian business space. There’s also no doubt that Tally is the most widely used ERP by Indian businesses (especially the SME sector). Imagine what you could do if both these tools could get integrated. At Enjay, we’ve done just that. We have launched integration of Tally ERP 9 and WhatsApp to enable you to communicate faster and more efficiently with your customers. You can now send any document – bills, invoices, receipts and payment vouchers, ledgers and outstanding statements, financial statements and more – from your Tally screen using WhatsApp. Step 1: You can click on the download button below to download and activate the connector between Tally and WhatsApp. Step 2: Once you’ve activated the connector, a QR code scanner will open up in Tally just like WhatsApp web. Step 3: You scan the QR code using WhatsApp in your phone. Step 4: You can start using WhatsApp to send messages and documents directly from Tally. It’s as simple as typing on your keyboard and pressing the mouse button. 1. The recipient’s mobile number automatically gets picked from the ledger, meaning that you send the details faster and to the right number. 2. You can use WhatsApp Web from your desktop or laptop to send unlimited messages. 3. You can retain and monitor logs of all messages, from your mobile, to identify whether the right messages were sent to the right person at the right time. 4. You will get to know whether messages have been sent or not, thus increasing transparency in communication within your organization. 5. You can send a WhatsApp message from any screen in the Tally interface. 6. The WhatsApp Tally integration feature is easy to set up, use, and maintain for all your people because they’re already comfortable with Tally and WhatsApp. 7. You get an encrypted layer of security that we’ve added along with the security of WhatsApp and Tally. Since you can send any document – bills, invoices, outstanding statements, ledgers, and more – directly using WhatsApp from Tally, you don’t have to switch screens or even tasks to send messages to your customers. Reduced duplication of data inputs means you don’t just save on administrative costs but also reduce human intervention and in turn reduce chances of human error. Thus, your communication is more accurate and on-time. The biggest challenge for business leaders is to be able to track whether their people have done what they said. People might say that they conveyed messages, but with no system to check, they can manipulate the truth. But with WhatsApp, you can check for logs whether the message got sent, and follow up with your people if the assigned work didn’t get done. Communication can get missed when there are many important tasks to fulfil. But if communication is done right, a lot of tasks which occur due to rework will get eliminated altogether. Encourage a culture of transparent and quick communication in your organization and you’ll not have to struggle to make your people do what they should do or to meet your customers’ expectations. 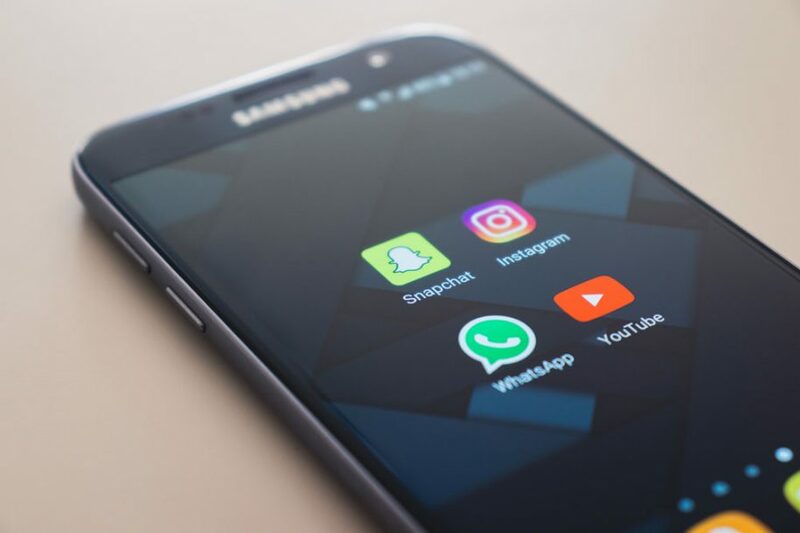 To download the connector of WhatsApp with tally integration, click below.